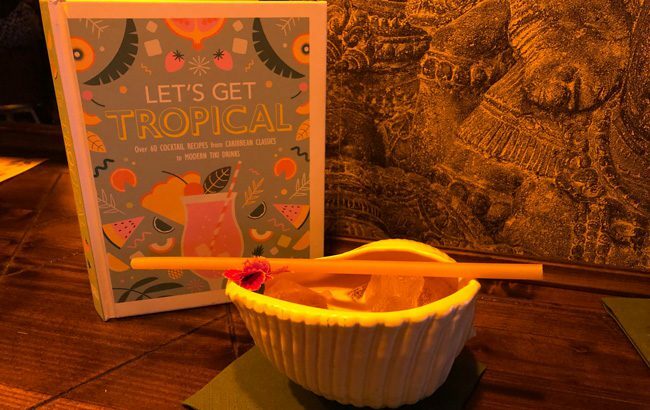 Tiki expert Georgi Radev has released his first book on all things tropical, bringing a taste of the tropics to at-home entertaining. Perfect for summer cocktail parties, Radev’s tome features 60 fruity serves from Tiki Mai Tais to Cuban Mojitos. Discover the origins of these classic cocktail recipes and the history behind rum, Tequila and other popular exotic spirits. There’s also a booze-free section for those who fancy a drink without the alcohol. Let’s Get Tropical: Over 60 Cocktail Recipes from Caribbean Classics to Modern Tiki Drinks is available to pre-order for £9.99 on Amazon UK. It will be released on 2 May. In the US, the book will launch on 14 May for US$10.52 on Amazon.